Christmas is just gone and you must be still thinking about the festivities. Well, you can relive the enjoyment and Christmas experience through Ho Ho Tower. It has been developed by Elk Studios and the main theme of the slot is the Christmas festival in Hong Kong. The plot is related to the famous Hong Kong Tower. 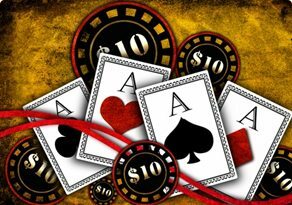 This online slot is an ideal source of enjoyment as well as a great way to make good money. 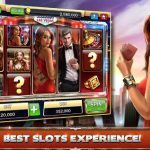 Apart from the excellent interface and plot that provides you with an insight of the city, the slot is known for bonus features that provide you with good prizes. 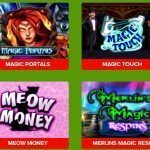 Ho Ho Tower online slot consists of 5 reels with 99 paylines. 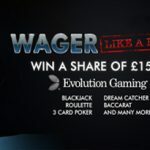 As a player, you can start playing each spin from just 10p. 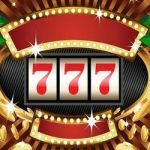 Even if you wish to play the slot on your mobile devices, such as smartphones and tablets, you will be able to do so. 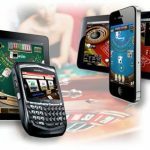 The advanced gaming software is fully responsive to the latest mobile platforms. The interface of the slot looks like the skyline of the city of Hong Kong. The reels are designed like fireworks and beams of light from the Hong Kong Tower. The whole interface offers a set of enjoyment that takes place in Hong Kong during Christmas. The symbols in Ho Ho Tower have all similarity to Christmas. Some of the symbols are Christmas bonsai trees, Christmas sweets, festive gold 7 and so on. The wild symbol is the Hong Kong tower, which is the substitute for all the other symbols barring the scatter. Players who are able to land the wild symbol will be able to trigger the Mystery bonus feature. This random bonus that provides helps you to get winning combinations. The blue Ying Yang bonus symbol provides you with extra lives and free spins. Another attractive bonus in the Ho Ho Tower slot is the Wheels of the Sky bonus. 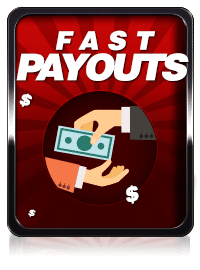 By getting this bonus, you are able to enjoy a whopping cash bonus. Moreover, you will be able to progress to the next level. After you reach the next level, you can get a whopping multiplier of 500 times in the final wheel. 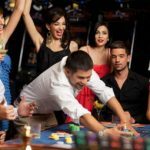 This 500 times multiplier is really a fantastic deal that any player can ask for. All in all, the slot is of medium variance where you can get cool prizes as you go up each level.